Officials from the Colorado River District, which owns and operates Wolford Mountain Reservoir, announced in spring 2016 that they were scrapping plans to conduct a multimillion dollar rehabilitation project on Ritschard Dam, which when full holds back Wolford’s 66,000 acre-feet of water. At that time the district announced it would initiate an earthwork project to restore the dam to its original height after several years of settling dropped the dam’s crest by roughly one-and-a-half feet. District officials, however, announced plans this week to postpone the dam heightening project until 2018. Jim Pokrandt, spokesperson for the river district, explained the decision was based on several factors including that the project is still working through the permitting process and officials were concerned about a late start for construction and the potential for bumping up against colder weather. Pokrandt further noted that 2017 has been a very busy construction season and bids on the project would have been high. “This is still a good project and it needs to be done. It will just take another year,” Pokrandt said. The River District had previously planned to draw down Wolford to accommodate the earthwork but the recent announcement means accelerated drawdowns will not occur. According to Ray Tenney, Deputy Chief Engineer for the District, for the remainder of summer and fall, the usual and expected water deliveries for contract and endangered fish habitat purposes will occur, resulting in a typical seasonal drawdown of about 10 feet in water elevation in coming months. Wolford’s recreational amenities, including camping, boating, fishing, and day-use, will still remain open to he public. Coordinated releases from a series of Upper Colorado River Basin reservoirs began Saturday, June 3, and are anticipated to continue through this week as part of the Coordinated Reservoirs Operations Program. The US Bureau of Reclamation, the Colorado River District, Denver Water and Northern Colorado Water Conservancy District as owners and operators of upper Colorado River reservoirs have mutually agreed to modify their operations to benefit the endangered fish of the Upper Colorado River Basin. The Coordinated Reservoir Operations (CROS) program was established in 1995 as part of the Upper Colorado River Endangered Fish Recovery Program. The purpose of the Coordinated Operations is to enhance spring peak flows in a section of the Colorado River upstream of Grand Junction, Colo. Determined to be critical to the survival of four endangered fish species: the Humpback Chub, Razorback Sucker, Bonytail and the Colorado Pikeminnow. The higher peak flows remove more fine sediment from cobble bars that serve as spawning habitat for the endangered fish. In years with sufficient snowpack, surplus inflows to the reservoirs can be passed downstream to benefit these fish without impacting reservoir yields or future beneficial water uses. Coordinated Reservoir Operations were most recently conducted in 2016, 2015 and 2010. In 2011 and 2014, wet conditions caused streamflows in certain areas of the basin to approach or exceed levels associated with minor flooding, so CROS was not performed. In 2012 and 2013, reservoirs did not have surplus inflow to contribute due to extremely dry conditions. Managers of the reservoirs completed a conference call June 2, agreeing to voluntarily run the program this year. Planned reservoir operations as of June 2 are described below. Release and flow amounts are approximate. Most reservoirs will step up releases over the next several days, hold at a constant rate for 3-7 days, and then wind down releases. 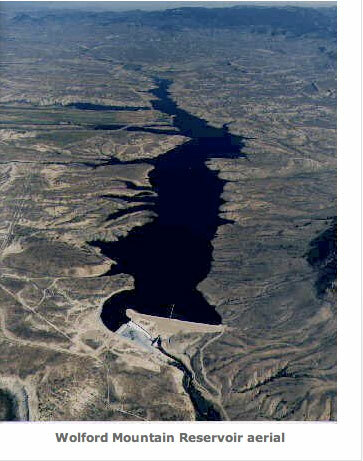 Green Mountain Reservoir, operated by the Bureau of Reclamation, will increase releases from 418 cubic feet per second (cfs) to powerplant capacity of around 1400 cfs. 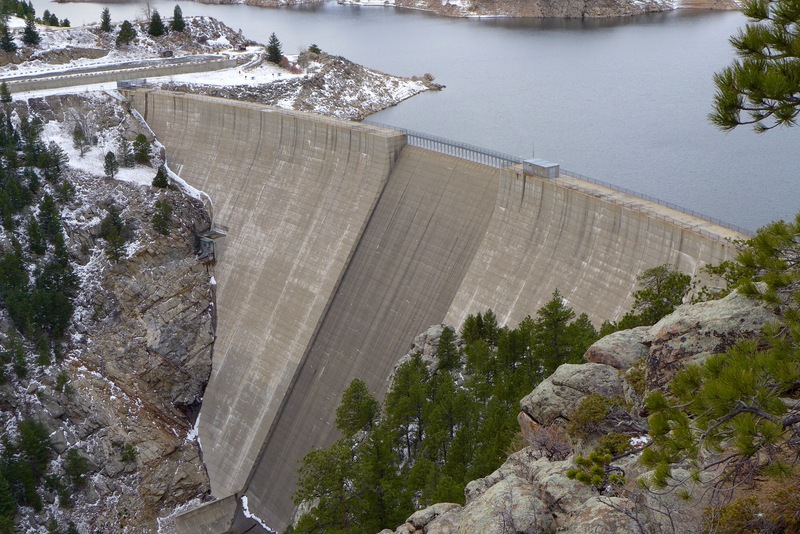 Releases from Green Mountain include inflows bypassed by Dillon Reservoir, operated by Denver Water, that will be increased by approximately 100 cfs during CROS. Denver Water also operates Williams Fork Reservoir, which is releasing 200 cfs. Releases will likely increase to approximately 600 cfs over the coming week to bypass increasing inflows. Willow Creek Reservoir, operated by the Bureau of Reclamation and Northern Colorado Water Conservancy District, is releasing 90 cfs. Releases will increase this week to roughly 600 cfs by curtailing pumping operations to Granby Reservoir and bypassing those inflows instead. Wolford Mountain Reservoir, operated by the Colorado River District, is passing inflows of 350 cfs. Outflows will be increased to around 600 cfs for approximately five days. Ruedi Reservoir, operated by the Bureau of Reclamation, is releasing 182 cfs and will increase releases to approximately 600 cfs over the next few days. The Colorado Basin River Forecast Center (CBRFC) will incorporate these planned reservoir operations into their streamflow forecasts. Based on weather forecasts and planned reservoir operations, flows in the Colorado River near Cameo (upriver of Palisade, Colo.) are anticipated to be approximately 14,000 – 17,500 cfs, June 7 through June 12, with the highest flows Thursday or Friday June 8 or 9. Flows in the forecasted range are still below defined “bankfull” and flood stages for the area. More detailed information about forecasted streamflows in the Colorado River basin are available from the CBRFC website at http://www.cbrfc.noaa.gov. A map-based interface allows viewing of hydrographs detailing recent, current and anticipated flows. For more information, contact Don Anderson, U.S. Fish & Wildlife Service, at 303.236.9883, donald_anderson@usfws.gov, Michelle Garrison, Colorado Water Conservation Board, at 303.866.3441, ext. 3213, michelle.garrison@state.co.us or James Bishop, Bureau of Reclamation, at 970.962.4326, jbishop@usbr.gov. The Upper Colorado River Endangered Fish Recovery Program is a cooperative partnership of local, state and federal agencies, water developers, power customers and environmental groups established in 1988 to recover the endangered fishes while water development proceeds in accordance with federal and state laws and interstate compacts. Through both natural and man-made activities, the area’s waterbodies will ramp back up to seasonal heights this week. The National Oceanic and Atmospheric Administration anticipates the Colorado River and its primary Summit County tributaries will reach their highest 2017 levels this Wednesday, June 7. The volume-based flow rates, measured as cubic feet per second, on North Tenmile Creek, for example, will rise from about 600 to 900 cfs and the Blue River north of Dillon should grow in the next two days by another couple hundred cfs from its present 600. To offset forthcoming supply, Denver Water, which owns and oversees Dillon Reservoir, stated that it plans to up flows from Dillon Dam into the Lower Blue River from its Monday total of 380 cfs to 600 no later than Tuesday morning, and between 1,400 and 1,800 cfs by the end of the week. North of Silverthorne, additional releases at Green Mountain Reservoir also allow the Bureau of Reclamation to increase power plant capacity and generate more electricity. Those levels could reach approaching 1,400 cfs from the current 418. Estimating that 40 percent of the winter’s snowpack still remains above Dillon, Denver Water is comfortable increasing the flows from Dillon Reservoir into the Lower Blue River that ultimately head to northern Arizona’s Lake Powell. That result is threefold, preventing wasteful overflow of the reservoir, maintaining ideal recreational heights on the lake, as well as fulfilling the demands of Lower Basin states based on senior water rights. Spring runoff of the Yampa River likely peaked on May 14 this year as it flowed through northwestern Colorado. That makes it an anomaly in the precipitation-dripping mountains of the West. In most other locations, the peak runoff—the time when the largest volume of water in rivers occurs as winter’s snow melts—more normally occurs in early June after temperatures finally warmed. This year looks to be more or less normal, despite a trend to earlier runoff in many locations during the last several decades. 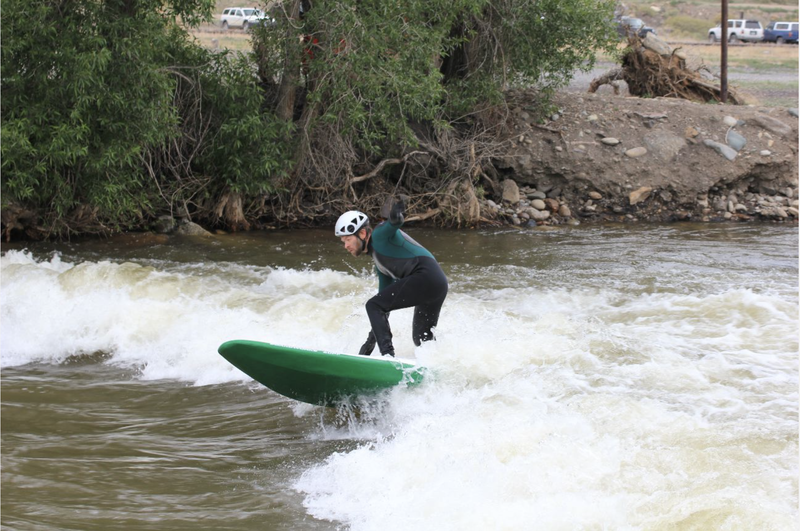 “The Yampa did have an early runoff, and that was the result of the warm temperatures and below-average snowpack,” said Ashley Nielson, senior hydrologist with the Colorado Basin River Forecast Center in Salt Lake City, when interviewed last week by Mountain Town News. The Yampa, she noted, will probably rise again in the next week or so, if not to the same high mark. But elsewhere, the show is now, not a month ago. Peak runoff of the Green River was expected this week or next. It originates in the Wind River Range of west-central Wyoming. Unlike the Yampa, that basin still has a significant snowpack. That was also reported to be the case in Jackson Hole, at the headwaters of the Snake River. The snowpack there was 181 percent of average in late May, not a record but “up there,” in the words of one water official cited by the Jackson Hole News&Guide. 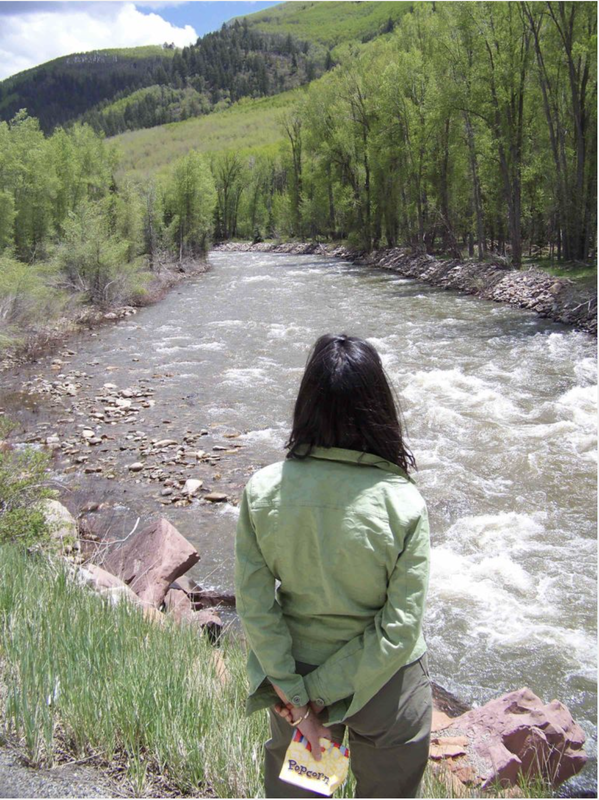 What explains the Yampa’s aberrant behavior? Karl Wetlaufer, a hydrologist with the Natural Resources Conservation Service in Denver, said the peak snowpack in northwestern Colorado arrived about a month earlier than usual. That snowpack around Steamboat Springs occurred on March 12, compared a more typical April 10. 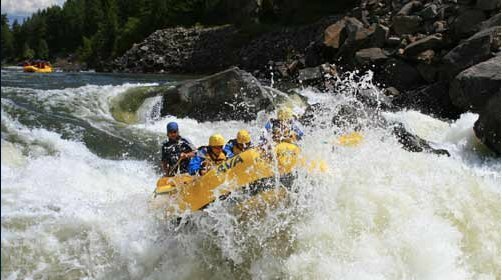 Instead of mid-May for the Yampa, he says that rafters floating through Dinosaur National Monument more often experience the highest water flows of the year in early June. Flows in the Animas River through Silverton and Durango have had some “pretty wild swings,” Wetlaufer says. The Arkansas River has been slow to get started with runoff. The Snake River of Wyoming and Idaho has a very different story than the Yampa, with around 200 percent of snowpack this year. The Snake originates in Jackson Hole and picks up water from the Big Wood River, which originates in the Sawtooth Mountains above Ketchum and Sun Valley, before joining the Columbia at the Idaho-Washington border. In the Tahoe-Truckee area of California’s Sierra Nevada, the snowpack was among the deeper ones on record after three bad drought years and then a so-so winter in 2015-16. Snowfall this winter was not a record, but it was a record for total precipitation. Being somewhat lower and closer to the coast than Colorado, the Sierra Nevada gets more rain during winter. This year it got a lot of rain. Colorado, too, had rain on snow, which is not unprecedented. But it happened frequently this winter. The result was telling for travelers on I-70 who crossing Vail Pass. “In general, there was less snow than you would expect,” says Klaus Wolter, a research scientist at the National Oceanic and Atmospheric Administration in Boulder. Wolter, whose focus is empirical climate research, using statistical methods to solve climate problems, is reluctant to pin climate change on much of what we have seen this year. True, he says, one storm during May left 42 inches of fresh snow in the foothills above Boulder, a storm unprecedented since the 1920s. As extreme as that storm was, proving causality is difficult, he says. A scientist in Oregon also shared the difficulty of proving causality. John Stevenson of Oregon State University told the Idaho Mountain Express in Ketchum that it’s “really difficult to judge any one year” to be a result of rising global temperatures. That said, his 2015 study concluded that the point each spring when half of the water year’s streamflow had run off was occurring an average 1.9 days earlier per decade. Warm temperatures in the Ketchum and Sun Valley area were 6 to 13 degrees warmer than normal for early May, producing a flood in the Big Wood River that peaked on May 8. It was regarded as the largest in 101 years of recorded history, reports the Idaho Mountain Express. But more warm weather was producing another surge in early June that threatened to surpass that peak of a month before, the newspaper reported last week. Jim Lochhead, the CEO and manager of Denver Water, said Tuesday that building new dams in the Colorado River basin is not at the top of his to-do list. Nor, for that matter, is drying up farms to provide water for Colorado’s growing cities. But he says Colorado still needs to have hard conversations about how to flexibly manage its water. In particular, he wants farmers to be able to share water with Denver and other cities without worrying that they may lose their water rights. Speaking at the annual Western Water Symposium at Colorado State University, Lochhead credited the 2015 Colorado Water Plan as being a useful “compendium of the issues” but said it highlighted relatively easy solutions without fully addressing the harder challenges. “I don’t think the solution is $20 billion of new water projects for Colorado, but that’s an easy thing to go look for,” said Lochhead, head of the state’s largest water utility that supplies 1.4 million people, and stores nearly 40 percent of its water in Summit County’s Dillon Reservoir. A coordinated plan is needed, Lochhead said. “We’re not there yet with the state water plan to develop any kind of coordinated principle vision for the future, much less how to get there,” he said. Lochhead, who took the helm of Denver Water in 2010, described Colorado’s historical approach to water as a zero-sum game where there had to be a winner and a loser. That zero-sum game lost its moorings in the second half of 20th century as a result of new federal and state laws, court decisions and political fights, Lochhead said. He said that two decades have brought more collaboration between diverse interests, including those on both sides of the Continental Divide, and it is reflected in such projects as Wolford Mountain Reservoir near Kremmling. Both Denver Water and the Colorado River Water Conservation District have an interest in Wolford Reservoir, with Denver Water on track to soon own 40 percent of the water in the reservoir. The water has many benefits, among them providing late-summer water to meet needs of four endangered fish species in the Colorado River near Grand Junction. Another collaborative effort has been launched in the Winter Park area. There, Denver plans to increase diversions from the Fraser and Williams Fork rivers, but is doing so with the blessing of local authorities, thanks to a collaborative “learning by doing” effort in Grand County that seeks to reduce streamflow impacts from both new and existing diversions. A second challenge is the Colorado River itself, the fountain that supplies at least part of the water for 40 million people, from corn farms in northeastern Colorado to San Diego. And despite some good snow years, the two big reservoirs on the lower Colorado River, Lake Powell and Lake Mead, are both low enough to keep a ballroom full of water experts up at night. It could get worse. And, according to projections of climate models, it likely will. Laurna Kaatz, an in-house climate expert at Denver Water, recently told the Metro basin roundtable it’s still not clear if it will be hotter and drier, or hotter and wetter in Colorado in the future, but there is little doubt it will be hotter. More major dams on the Colorado River are not the solution, Lochhead said. Evaporative losses would result in more loss than gain, he said, although he did allow for the possibility of relatively small dams. Denver Water is, however, studying the potential for putting water into aquifers beneath the city, creating underground storage — storage that could, in theory, hold water from the Western Slope. And Denver Water is looking to store up to an additional 15,000 acre-feet of Western Slope water in an expanded Gross Reservoir, southwest of Boulder. The $360 million project seeks to raise the elevation of the dam by 131 feet, which would increase the capacity of the reservoir by 77,000 acre-feet, bringing it up to 119,000 acre-feet. Lochhead said that Colorado needs more flexible water management options that allow for greater sharing of the resource. About 85 percent of water in Colorado is used by agriculture and ranchers and farmers tend to have the oldest and most senior water rights. In Colorado’s water courts, objections to changes in uses of water rights are often filed. The process can be lengthy and expensive for those seeking to make changes. “You need a safe process where you don’t have to put your water right at risk, and you understand that you don’t have to spend years negotiating,” he said. And Lochhead thinks Colorado also needs another conversation about conservation, where the emphasis is not about sacrifice but about innovation. Denver Water intends to demonstrate what is possible as it redevelops its 35-acre headquarters campus along Interstate 25 near downtown Denver. There, planners think they can reduce demand for potable water by more than 50 percent. In water reuse, said Lochhead, Colorado is “way behind the curve” as compared to some world cities, including Amsterdam and Sydney. Editor’s note: Aspen Journalism and the Aspen Daily News are collaborating on the coverage of water and rivers. The Daily News published this story on Friday, July 29, 2016. This conclusion comes after exhaustve study of the settlement and a failure-risk assessment of the rock-fill, clay-core dam put into service in 1995. The River District’s consulting engineers and a separate Consultant Review Board it commissioned, together with the State of Colorado Dam Safety Branch, have concluded that the dam remains safe. A review has led to the determination that there’s no need for the Colorado River District to make potentially expensive repairs to its Wolford Mountain Reservoir dam in the foreseeable future and it can resume full filling of the reservoir. The review found that the risk of the Ritschard Dam in Grand County failing is extremely low despite the deformation problems it has been experiencing. “We’re a public agency and we’re pretty gratified that we’re not looking at a 30-plus-million-dollar fix right now,” River District spokesman Jim Pokrandt said. The rock-fill, clay-core dam was completed in 1995. It has settled near its center by about 2 feet, a foot more than expected of it as an earthen dam. Its crest also has moved about 8 inches downstream. The district already has spent about $1.5 million to install instruments to measure the dam’s movement. It has considered possible repairs ranging from injecting concrete into the dam to shore it up to rebuilding it. The latter is something the district several years ago estimated could cost $30 million. The district is taxpayer-funded and includes Mesa County. Any repairs might have come at least partly out of a separate enterprise fund the district derives from revenues such as water sales. The district has called the dam problem the most important issue it faces. The reservoir is on Muddy Creek, and the town of Kremmling is just downstream, where the Muddy meets the Colorado River. The reservoir can hold about 66,000 acre-feet of water. The district began to rethink how it should deal with the dam movement after a three-person outside team of dam experts said no immediate action was required. In February, it then held a workshop on the matter with participants including, among others, the outside team of experts, the state Dam Safety branch of the Colorado Division of Water Resources and Denver Water, which has a leasehold interest in the reservoir. Participants concluded that the risk of the dam failing from the movement in a given year is one in 100 million, compared to the normally acceptable one-in-a-million risk of the dam failing from a flood overtopping the dam. related public risk is much lower than other, normally acceptable dam-related risks,” the river district’s chief engineer, John Currier, said in a memo to the district board. “The dam is functioning properly, and has a very high probability of continuing to function properly even if deformation continues at the historical rate for many more years,” he wrote. The district has been voluntarily keeping the water 10 feet below full as a precaution. But those involved in the review agreed “that normal reservoir operation along with continued reasonable monitoring is appropriate,” Currier wrote, and that keeping water lower, while slowing down the dam’s deformation, merely prolongs how long it will take for that deformation to be complete. The Colorado River District has been given some breathing room for dealing with a problem dam at its Wolford Mountain Reservoir five miles from Kremmling. A three-person outside team of dam experts has advised the district that the Ritschard Dam is safe despite the settling that has occurred there, no immediate action is required, and the district should be deliberate in determining how to address the problem. “The Consultant Review Board has emphatically emphasized that time is on our side,” the district’s chief engineer, John Currier, said in a memo to the district board in advance of its meeting next week. The recommendation comes as good news to the district, which has identified the dam as the most important issue it currently faces. It already has spent about $1.5 million to install sophisticated instruments to measure the dam’s settlement. Since its completion in 1995, the rock-fill, clay-core dam has settled near its center by about two feet. While earthen dams settle, in this case the drop was a foot more than expected. The dam crest also has shifted about eight inches downstream. The three-person team, district staff and consulting engineers are now proposing that the district hold a workshop with the Dam Safety branch of the Colorado Division of Water Resources and Denver Water, which has a leasehold interest in the reservoir, to consider next steps. “We were thinking that some kind of work would begin in 2016 or (20)17, to begin some kind of remediation program, but now we’re saying OK, let’s dig deeper into the issue based on this third-party finding,” district spokesman Jim Pokrandt said. He said the finding means the district has more time to make sure it takes the right next steps regarding the dam. The most expensive repair would involve rebuilding the dam, which several years ago the taxpayer-funded district estimated could cost $30 million. 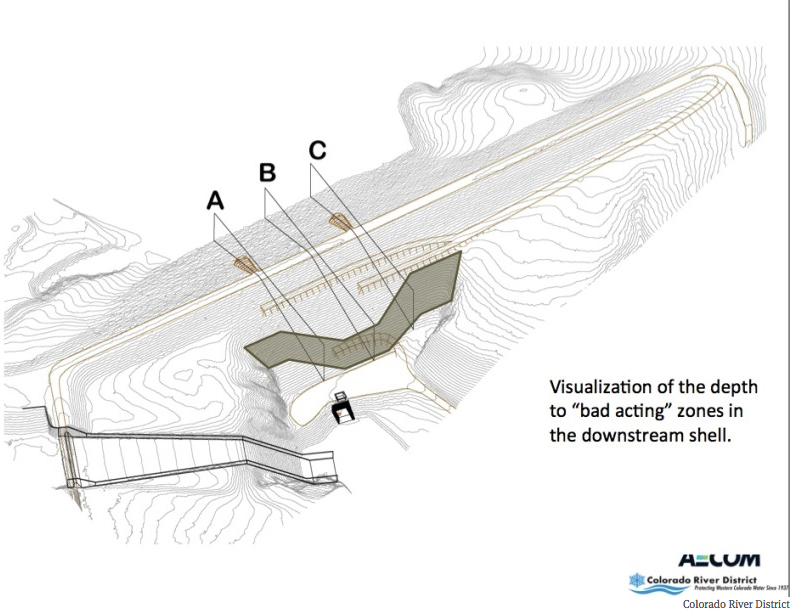 Another approach could involve injecting concrete into the dam to reinforce it. The dam sits on Muddy Creek, a tributary of the Colorado River. The river district has consulted with the town council of Kremmling, which is downstream of the reservoir on the Colorado River, and Grand County commissioners. It also has held public meetings and kept emergency managers informed of the situation. Bill McCormick, the state’s chief of dam safety, agrees that there is no reason for immediate concern regarding the dam. “It is displaying some unusual behavior but (the findings of) all the analysis that’s been done to date is that it’s not creating unsafe conditions,” he said. Still, he said he thinks everyone involved agrees there’s a long-term issue pertaining to continued settling, which requires a long-term solution. “The long-term solution isn’t clear or obvious just yet but we’re continuing to work on it,” McCormick said.